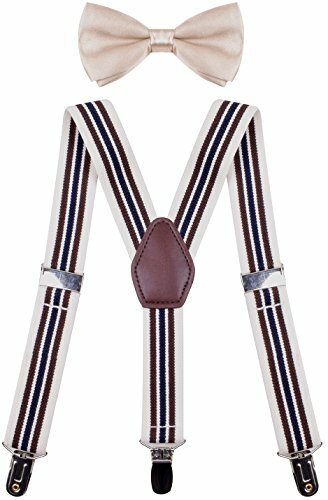 ORSKY suspender kids, perfect suspender bow tie set. Ultimate awesome products, high quality fit for adults and kids. Sweet suspenders, make you more cute and confident. Suspenders for kids, packaged well. Colorful accessory as a gift for your friends. Absolutely adorable, it can witness your growth. Worked well and looks great. Girls with suspenders, the clips are strong and the straps are elastic. Super cute suspenders, necessary accessories for your life. Fits great, and great color. and the suspenders are stretchy and adjustable. The color of the bow tie and suspenders match perfectly. but are easy enough to open. Please do not hesitate to contact us, we will answer to you all questions.